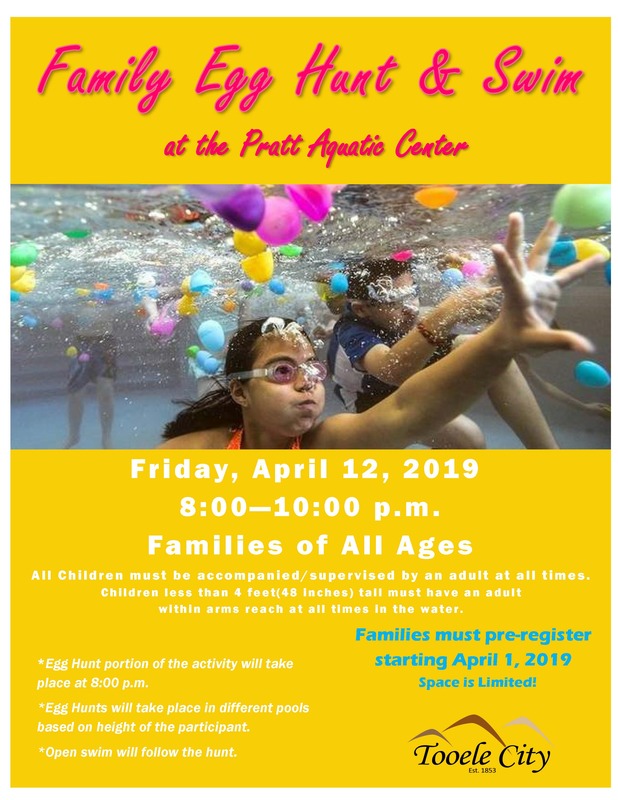 The Egg Hunt portion of the activity will take place promptly at 8:00 p.m.
*Children less than 4 feet (48 inches) tall must have an adult within arms reach at all times in the water. Open swim will follow the egg hunt. For Families of All Ages (All children must be accompanied by an adult). You must pre-register your family. Space is limited.